In Part 1, I discussed the cultural and messaging problems involved with portraying the glorification of violence. In this part, I’ll be discussing the mechanical ruleset issues that tend to arise as a result of working with violent themes and settings. I do not advocate “starting with theme” – you should certainly not start a game design out by saying something like “Three heroic warriors travel into the Grundendo Forest to find the Enchanted Obelisk and destroy the evil villain Sorcerer Johns.” This is not a game design concept, and I think most designers understand that. You’re not only failing to communicate any mechanical, rule-based idea, but you’re also restricting your ability to develop rules by the metaphor. Essentially, it’s working backwards: theme is the metaphor we apply to our rules to help communicate them. Starting a game design with a theme is like starting a novel with painting the cover artwork. With that said, it’s useful to at least use small, loose bits of theme, especially during a game’s earliest design phases. If you’re like most designers, you probably start with a “genre” of some kind or a specific game – perhaps something like, “it’s like Advance Wars, but _____”, or it’s a “Rogue-like, but _____”. With that as your “base”, you work out from there. If you’re a good designer, you probably do a lot of problem solving, which involves a lot of dramatic changes to those systems, but you still have that original genre or game as a base. Today, I want to talk about the negative ramifications of working with a violence-themed base. Games are at their least interesting when interactions are direct. Imagine if in a role-selection game like Puerto Rico, there was an action that was simply, “take three victory points”. Or if in League of Legends, there was an active ability that just gave you gold and experience. Or if in Starcraft, there was some expensive building you could build that destroyed 1/3 of the opponent’s army and base when you built it. You could potentially balance all three of those examples, so that they weren’t more or less effective overall than other options. Even if they were balanced, though, they would still be the least interesting thing you could do in the game. Players who chose to use those game elements would be having a distinctly worse experience than players who did not. The reason directness is uninteresting is because it allows the player to circumvent his need to traverse – and therefore understand – the system. Allow me to give a few examples to help demonstrate what I mean. 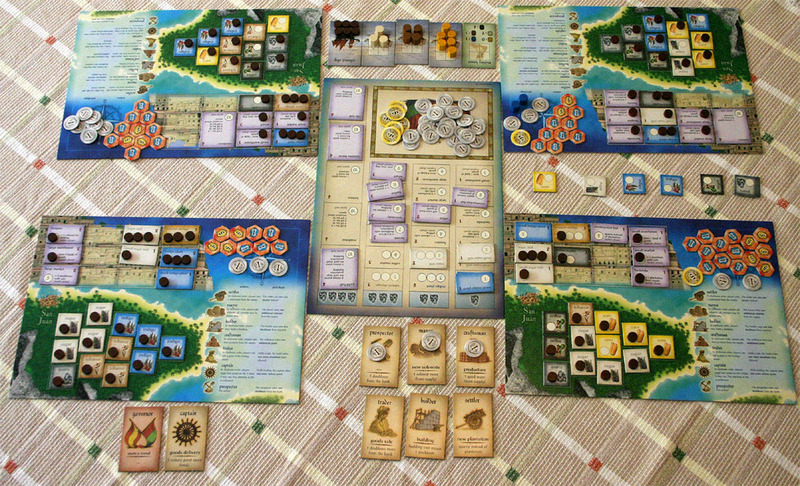 Puerto Rico – Normally, you have to get plantations, a processing building, use the craftsman action and the captain action, all timed in such a way that you don’t end up wasting resources or helping your opponents too much. With the +3 VP action, you can ignore all of that and just get the three victory points. League of Legends – Normally, you have to clear minion waves, defeat enemy champions, and most importantly, set up strategic team plays to gain an upper hand. Now, you can circumvent all of that, turtle up a bit, and spam the Gold and Experience ability as much as possible. Starcraft – Normally, you have to counter the opponent’s unit types, you have to be concerned with the tactical positioning of units in battle, you have to worry about exactly when the right moment is to attack. With the Starcraft Super-Building, you can just delay the game while you build the super-building, then attack right after it’s built. All three of these abilities could, again, be balanced as such that players who use them win a similar percentage of the time as players who don’t. Fixing the balance problem does not fix the interesting-ness deficit. It’s worth noting, though, that it’s notoriously difficult to balance something very direct against something very indirect. Of course, these examples are all ridiculously exaggerated in order to highlight my point. In reality, there are elements in all games that are “more direct” or “less direct”. In Puerto Rico, going for a Builder strategy is a lot more direct than going for a shipping strategy. In League of Legends, there are still characters that have flat gold/stat bonus passives or “steroid” moves that simply Do More Damage / Deal More Damage. In Starcraft, there are “rushdown” plays that involve doing a series of rote commands very quickly in order to end the game before anything interesting has a chance of happening. Something is “direct” to the extent that it circumvents the system. Ostensibly, your system should be interesting, so anything that circumvents interaction with it is bad for the player experience. Unfortunately, the player is – and should be – primarily motivated by trying to actually win. It is not his responsibility to make sure that he’s getting the optimal experience out of the game – it’s yours. On the other hand, a game action is “indirect” when it needs to utilize more of the game resources, actions and variables in order to work. Super Smash Bros. combat is less direct than Street Fighter’s, because in Super Smash Bros. your positioning on the level matters – if you hit someone hard in the middle of the stage, you’re less likely to defeat them than if it’s near the edge. Whereas in Street Fighter the positioning on the level has no bearing; you just have to get their health points to zero, regardless of where you are. The more game variables that tie into the action, the less “direct” it is. As you’ve probably noticed, not all of my “direct” examples are necessarily violent. My claim is not “all direct gameplay interactions are violence-themed”, but rather, “most violence-themed gameplay interactions are direct”. The other problem with violence as a “base” for a game design is that it almost always tends to be based on the concept of “removal”. Killing, inherently, is about effectively removing objects from the game space entirely. Of course, I’m not saying that “a good game design is one where elements are never removed from the game space”. However, when the basic assumption is that interaction leads to removal (“death”), we end up with way too much of it. 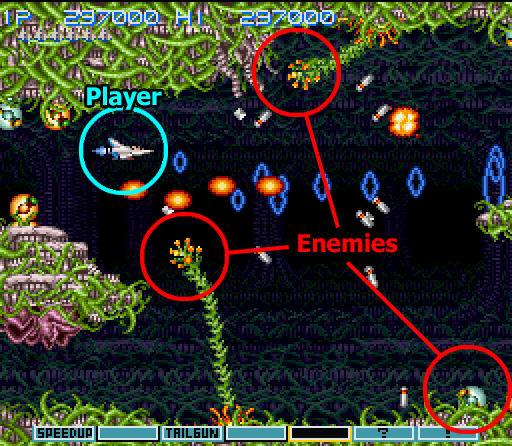 To demonstrate, imagine a Gradius-style shooter game. If just one monster flies onto an empty, open screen, and it shoots a single bullet at you, it’s probably safe to say that that’s about the least interesting such a system gets. On the other hand, take a situation such as the one depicted in this screenshot. At Gradius‘ most-interesting, you might have numerous things to consider at any given moment. The environment has a shape to it, making some areas unavailable. You’ve got some powerups that behave in a certain way that you need to compensate for (such as “Option”, little orbs that follow you around doing what you do, or missiles that fly in a diagonal direction). Perhaps most importantly, there are “monsters” on-screen that threaten you (both as obstacles and by firing projectiles at you). The decisions about where to go, what to shoot, what to focus on are only even a little bit interesting because of all of these variables coming together at the same time. If those monsters weren’t there, then we’d suddenly be in a dramatically less interesting game space. And yet, removing them is exactly what the player is expected to do in Gradius. In a way, the player makes his own game experience less interesting by removing the threats. This is, in fact, where the “power fantasy” concept – so central to violence-glorifying themes – directly conflicts with the needs of a good game. 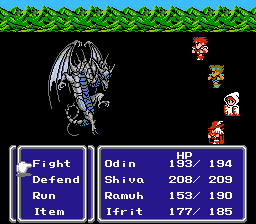 The power fantasy says, give the player some hugely devastating weaponry sometime and let him clear the entire screen. Of course, letting them actually clear the screen means making the game a lot more boring. It’s quite like entering in a cheat code. Of course, the game’s solution to the problem of “threats getting removed” is to just keep feeding new monsters into the game. They come on screen, and for the most part, we try to dispatch them as quickly as we can. Many monsters are destroyed before they even become visible. Since our primary action is “removal”, what we’re left with is a system that’s based on constantly rolling in new things for us to remove. At a fundamental level, this is not a healthy atmosphere if we want deep gameplay. On the other end of the spectrum, let’s take another look at Puerto Rico. For those who may not know Puerto Rico is a “role selection” Euro boardgame. In the game, you take turns choosing a role, such as Builder (allows you to spend money to build a building), Craftsman (allows you to produce goods from your manned plantations) or Captain (allows you to ship goods you’ve already produced for Victory Points). A Puerto Rico game in progress. While the object of the game is a simple “race to obtain the most Victory Points”, the situations that occur during the game get quite complex and interesting. You might need to produce goods right now, but if you do so, the guy after you will be able to ship, and if he does that, he’ll fill up the ship you need to use and your goods will get wasted. Also if you produce, Player 3 will produce a valuable Coffee good, and you know he’s going to sell it on the market and make a ton of money, and you can’t have that. Although, if he does that, you did build an Office, which means you’ll be able to sell your Coffee good as well, and you have a Small Market… so maybe it’s still worth it? 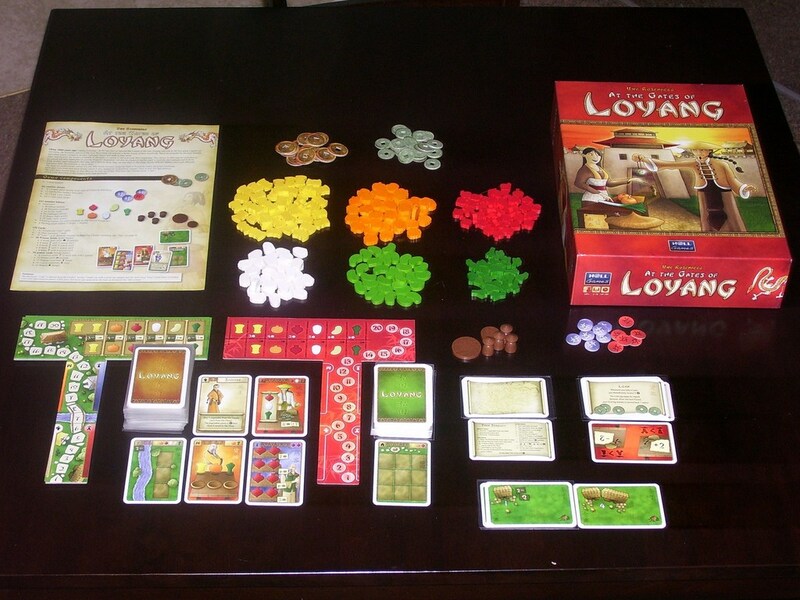 The point is that throughout the game, players are adding complexity to their boards in the form of buildings, plantations, workers and goods. As the game goes on, the problems become more complex, nuanced, and interesting. Of course, “more complex” does not necessarily mean “more interesting”, but a game does need to be pretty complex to really challenge a human brain and become interesting. The other thing is, it introduces complexity piece by piece, so while you’re playing it’s actually quite easy to keep track of what’s going on. This is pretty important – a game can’t just start out super complicated. Players can only intake so much new information at a time. So the smart way to reach a point of high complexity is to build up to it throughout a game session. Puerto Rico does not have any form of “attacking” or “destruction”. If it did, the game would be effectively taking steps backward throughout, towards a less-complex and less-potentially-interesting situation. Are there exceptions to this rule? Of course there are. Look no further than Chess for a game that is reliant on “removal”, yet still works. This is quite likely because the game state at any given time in Chess is incredibly complex – arguably, far too complex for most players. A similar war-game that was less inherently complex might become quickly solvable if it relies on removal (which might lead a designer to implement output randomness or other instant ambiguity sauces to make up for it). Many of the classic videogame design tropes are both inherently direct and tend to remove complexity. Therefore, we should be wary of them. Shooting is probably the number one most commonly seen violent videogame trope. Ultimately, it’s just “launching a projectile, usually ballistic, in a direction, usually on continuous space. When it hits an object, that object is destroyed (sometimes after multiple hits)”. That describes the core of so many videogames, it’s kind of crazy to even think about. From 2D shooters like Space Invaders and Ikaruga to 3D ones like Counter-Strike or Battlezone, the amount of space this one core mechanism takes up in games in general is massive. If you add in “punching/slashing with a sword”, I don’t think anyone would be surprised if we were now describing 80-90% of all videogames ever made. There are a lot of reasons for this: the reliance on fantasy simulation in lieu of coherent theory for interactive systems design; the technological spectacle of seeing a computer keep track of hundreds of bullets; or simply the industry’s “child actor syndrome”. This is, after all, an industry and a discipline that went from “non-existent” to “the world’s biggest cultural/industrial phenomenon” in under 50 years. It makes some sense that we continue to think of “videogames” in terms of Space Invaders and Super Mario Bros. The reasons for why we use so much “shooting” are irrelevant, however. They can only be explanations for the situation, not justifications. The point is, this is something that we should change. We shouldn’t be presuming anything with regards to theme, although if we do have to presume something, it would behoove us to lean away from violence-based themes. If you think for a moment about the full range of possibilities that could exist in terms of theme and mechanisms for games, it’s almost infinitely large. You could have a game that’s about pushing water around between large geometric shapes, themed as rubber toys in a bathtub. You could have a game that’s about drawing lines to take territory, and theme it like some kind of laser light show. There are a billion core mechanisms out there and a variety of ways to effectively theme each of them. To people who feel that way, I recommend some serious research into the world of designer boardgames. Specifically, Eurogames. Even more specifically, German Eurogames. Designers like Reiner Knizia, Uwe Rosenberg, Andreyas Seyfarth and others have a pattern of really starting without a bunch of unhealthy assumptions. Sure, they do have their own tropes, and they do sometimes make games that build off of a previous game, but in general, this world is much, much more likely to actually explore other possibilities than the digital game world is. Many have pondered about the reasons for why Germany became such a hotspot for great boardgame designers. To be fair, there are a lot of reasons for why this could have happened. However, one reason that does strike me is the fact that the glorification of violence is banned in Germany. Now, I’ve said it before, and I’ll say it again: I think that’s wrong. I am staunchly opposed to laws that prohibit media that glorifies violence. With that said, though, we can still take note of the effect of having this law in place. Regardless of the cause, the German people were unable to rely on “shooting” and “slashing”, and so they had to start actually thinking. We don’t need a law to get a similar effect. We – and by we, I mean the entire world, including Germany, are big boys and girls. We can simply understand the negative ramifications of our constant reliance on violence, and we can adjust our behavior. I’m looking forward to a future in which we’re more conscientious about the messages we’re putting forward in our media, and I’m also looking forward to games that are patently more novel and interesting. Can a smart designer who understands the classic pitfalls of violent games avoid those pitfalls while still making a violence-themed game? Yes. Should they? Only if I haven’t convinced them with Part 1. Remember that I’m not trying to force anyone to do anything. I’m trying to persuade. If my work fails to persuade you, that’s OK. Let me know why in the comments, and thanks for reading! Like this article? Support my work by contributing to my Patreon campaign.